Proving that the Australian public will snap up Swedish music if they actually hear it, Agnes Carlsson bulleted into the ARIA top 30 in the middle of 2009 with her international smash ‘Release Me’. It topped the dance charts in both the US and UK, hit the top ten around Europe and was the Swedish songstress’ breakthrough single here in Australia. 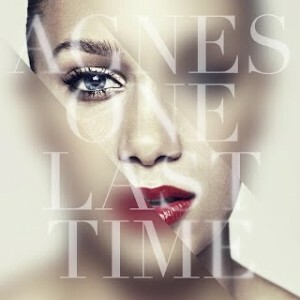 Of course, Agnes hasn’t been idle since then – releasing a swag of other tracks from her much overlooked album ‘Dance Love Pop’, as well as recent single ‘Don’t Go Breaking My Heart’. But mere minutes ago, she’s uploaded the official video to her brand new single ‘One Last Time’ – the lead single from the singer’s upcoming fourth album. The clip is a rather simple black and white affair that features the shiniest pair of hot pants since Kylie span around back in 2000. It’s clear she’s lost a love and is wondering where it all went wrong. There are even tears, poor love. We just want to wrap our arms around her, give her a Milk Arrowroot and a cup of tea and tell her everything’s going to be just fine ’cause her affecting piece of future-pop is rather amazing indeed. Now for her local label to give this some love. Thanks you guys are legends! It’s a shame he’s not on our iTunes because he has a great track, Soldiers, that came 3rd in the local comp to Loreen’s Euphoria which decided who went to Eurovision. Look forward to you guys covering him! Thanks! We’re well aware of Ulrich’s music, but he hasn’t really had anything new to yak about recently. We’ll try to stay in the loop with his releases and cover him from here on in. I agree with your opening sentence: “Proving that the Australian public will snap up Swedish music if they actually hear it”. That’s exactly why I wish Australia was introduced to Ulrik Munther. I don’t see why he can’t be heard Down Under. I know it’s not really up to you but any influence you may have would be great!